I want you to participate in the "Lay's Do Us a Flavour" contest by entering your flavour name, up to three ingredients and your flavour inspiration at lays.ca/flavour You have a chance to WIN $50,000 plus 1% of your flavour's future sales. That's a pretty simple contest. You can create any kind of flavour you want. Let your imagination run wild. This Grand Prize Contest ends April 15th, 2013. If you're not on Facebook, you can also enter by texting the word "flavour" to 101010. Applicable phone charges may apply. 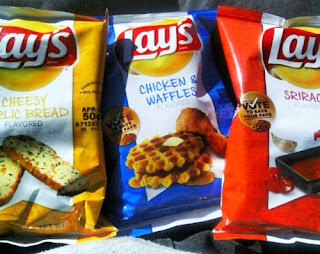 Thanks to the folks at Lay's they're giving me the opportunity to give one of my followers a Lay's prize pack valued at $325.00. Winner will be selected April 10th, 2013. Brew Benefit is one day of celebration of life and great beer. For one afternoon you will have the chance to sample diverse range of brews from local neighbourhoods and beyond. Brew Benefit participants will have a chance to explore the local neighbourhood in Toronto and the weather should be getting warmer during that time. It'll be a great time to meet and hang around with new people and have fun! We are going to explore 6 different bars/restaurants in the downtown Toronto area. We will also sample 12 different beers(5 ounce)! Location to meet will be revealed closer to date. This is a great opportunity to hang out with people and to help a charity at the same time. The charity associated with Brew Benefit is: The Stop Community Food Centre. So I hope you can join in on the fun times ahead with DishCrawl. This event is for 19+ years older only. Must be happy and go-lucky to participate. Disclosure: I'm a media partner and have been given ticket(s) for this event on April 7th. The weather is getting warmer and spring is just around the corner. It's a perfect time to get the physical activity going since I've been hibernating this winter and have been unactive. 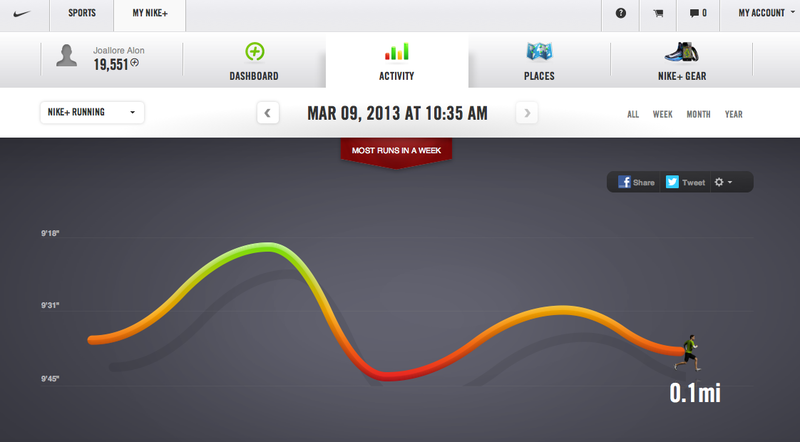 I've was very active prior to "Social Media" so reviewing this Nike+ SportWatch GPS is like a blessing in disguise. This review took me forever to start because I was waited for nice weather to run. Yes I made excuses and apologized to Nike. I really need to take their motto and "Just Do It." Well, I finally did run and it felt so good. Straight from the box the Nike+ SportWatch comes in a very "Applesque" packaging. 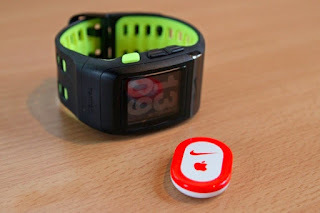 To use this watch you need to create a NikePlus account and download free software. It took time for me to get use to the site and trying to figure out all the "calories" and "lap intervals" information but I got a hang of it eventually. 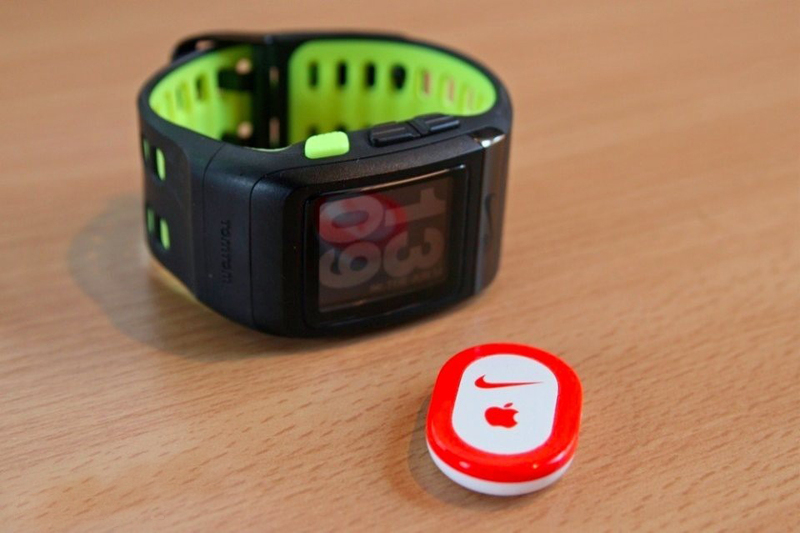 It also comes with a little sensor chip that you can use for GPS that works with Nike+ ready shoes. The Nike+ SportWatch is powered by TOMTOM GPS. It's a very nice stylish watch. It has a touchscreen surface and easy to navigate using the 3 side buttons. The watchband has a USB insert so you can just plug into computer to update your running statistics. The best part about the watch is that it's pretty simple to navigate. You can view your run history, records and stopwatch. This info including your GPS route can easily be transferred to your NikePlus account online via USB. Another great feature is using this watch with the Nike Plus website. It even allows you to see where you pick up speed or slow down in a particular route. There is a sense of gamification when you begin to compare your stats with others around you. 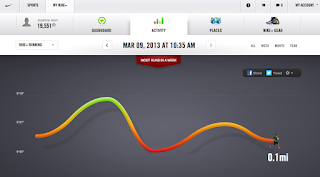 If you have friends using the NikePlus it can be fun or even competitive. It gives extra incentive for you to get active this spring/summer. Any hoot, it's a cool watch and has good integration with the NikePlus website. If you plan to start running soon this would be a great addition. Recently I was invited with a select group to the SpiritHouse in Toronto to join an evening of bourbon mixology and food that is paired or infused with Jim Beam bourbon. The evening had 2 special guest that included Frederick Booker Noe III (@FredBNoe) the grandson of Jim Beam and Matt Jones (@Whisky_Chef) a Beam Global Ambassador. I had the opportunity to try various bourbon mix drinks that evening. One of my favourites was the cocktail with triple sec and lime. It had a citrus flavouring which was different for me when tasting bourbons and whisky. I also got to try a bourbon flavoured brisket slider. @FredBNoe prior to giving us a brief review on the Jim Beam Bourbons behind the bar. @FredBNoe talking about the process of making Bourbon. The evening included a Jim Beam Bourbon tasting. We got to try 3 different Bourbons. 1- Jim Beam White 2- Jim Beam Devil's Cut 3- Knob Creek Bourbon. 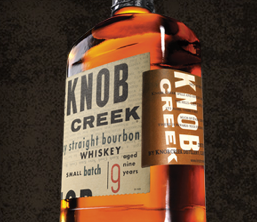 My favourite of the 3 bourbons was the 9 year old Knob Creek Bourbon. Overall it was a fun evening of food and bourbon. I had the opportunity to enjoy the evening with quite a few friends from Twitter so it was good times all around. Thanks to Jim Beam and SpiritHouse for being great host. Disclosure update on March 13th: I unknowingly received Jim Beam product in mail as part of this event.